Thanks to your gutter system, your home’s foundation remains safe from water damage. However, due to a few key factors, this important component could fail prematurely. 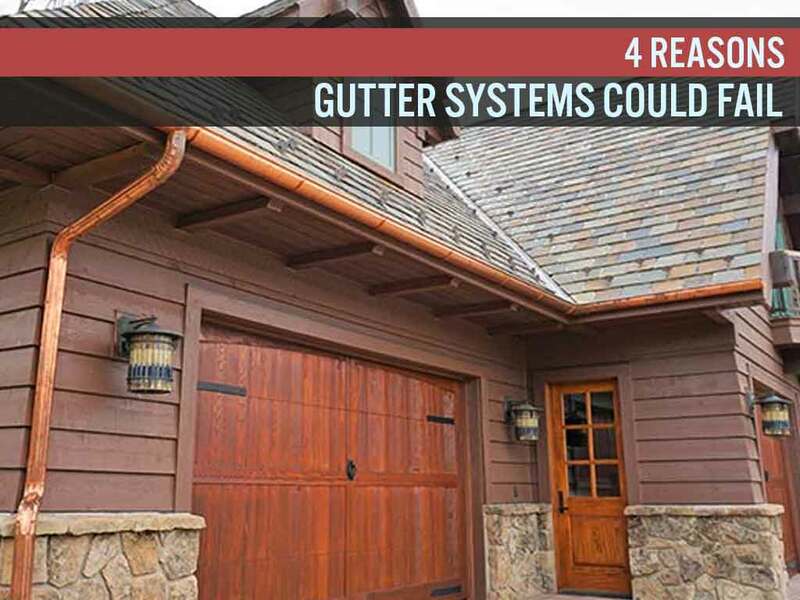 Advantage Seamless Gutters, one of the premier gutter contractors in the area, discusses why you might need to replace your gutters. Why is it better to entrust your gutter replacement to the experts? Unlike amateur installers, the pros know the specifics, which make things a lot easier for them to handle the project. Plus, they have enough experience and knowledge to take on the job. In contrast, your investments are at risk when you turn to “contractors” who do not carry proper license and insurance. At Advantage Seamless Gutters, we guarantee professional installation of seamless gutters. You can choose from our variety of half-round and K-style gutters to match the architectural design of your home. Our team will also guide you through the whole process to get the results you want. Like other components of your home, gutters need maintenance. In fact, they need more attention since they are exposed to the elements every day. By getting in touch with your gutter contractor to inspect and clean your gutters, you can keep the system intact and damage-free. Without any layer of protection, your gutters are vulnerable to clogging. Debris buildup in this area can cause water to settle and eventually spill over the sides of the system. When rainwater pools near your home’s foundation, it can press against the walls, cause stress and lead to cracks. This can later lead to irreversible foundation damage when neglected. You can’t expect a subpar product to perform as well as a high-quality gutter system. Fortunately, our company installs superior aluminum seamless gutters to drive rainwater away from your home’s foundation. We use a 0.032-inch aluminum gutter coil that won’t rust and a stainless steel fastener to secure the system. Count on a trustworthy contractor like Advantage Seamless Gutters for your gutter cleaning and installation. Call us today at (218) 212-1818 in Baxter, (218) 692-2663 in Crosslake and (320) 421-8726 in Alexandria. We serve residents of Baxter and other nearby areas in MN.